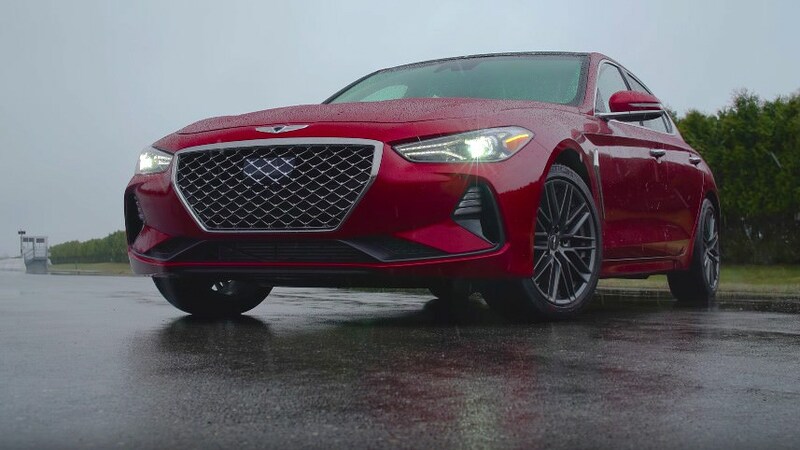 Genesis is aiming very high with its range of establishment challenging sedans that take the fight straight to the German and Japanese manufacturers. Its latest offering is the G70 compact exec which is currently the most Genesis car in the Genesis lineup. It's been created from the ground up to showcase the brand's new direction, it looks the part, drives the part and its interior is really rather good. Consumer Reports found a lot to like about it, praising it for its aesthetics, handling, space and just h0w well sorted a package it is. It does suffer from the same big problem like the Kia Stinger with which it shares its underpinnings with: it's a bit too heavy for its footprint, making it heavier than any other rival in its size class. But it does undercut direct rivals on price and for the money it's kind of hard to get a better looking model in its segment. You just need to accept the fact that the badge on the front is not a premium one, because otherwise the compromise is not severe.